Children love to use the flannel board, and I give them that opportunity as often as I can. This table top board is perfect for a small group. I like to gather two or three children and have them work together to create a scene. Once the activity is completed, preschoolers practice pre-reading skills by telling oral stories (about their picture) and acting them out. The possibilities are endless. 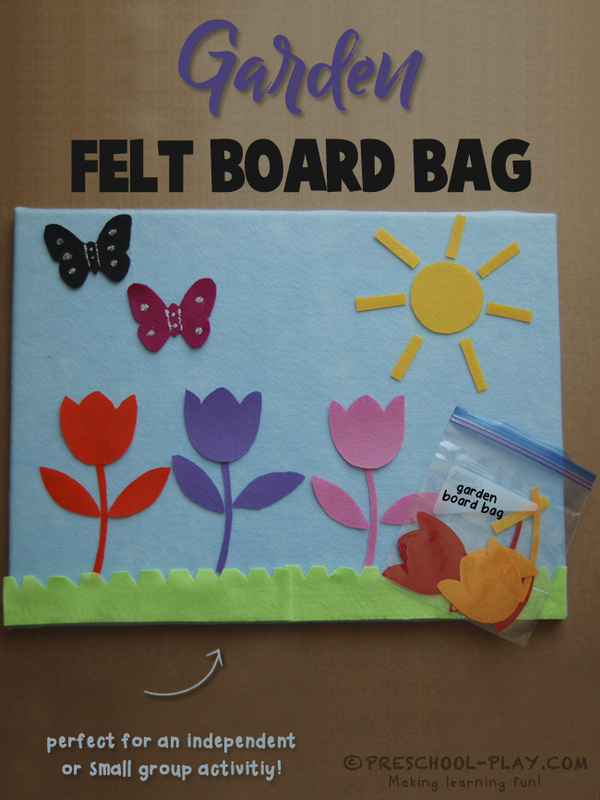 This springtime activity also teaches color recognition, association, and helps improve visual perception skills. These measuring cards make for a fantastic measurement (non-standard) learning tool. We use Unifix Cubes , but any small manipulative such as pom poms, vase gems or mini erasers will work. Children will work to see how many cubes long the bugs and insects are. Students may use the included Bugs and Insects Measure and Record worksheet to record their measurements. Discuss which are shorter and which are longer, and which are the same length. So many learning concepts here! Print these out on cardstock and laminate for heavy use. 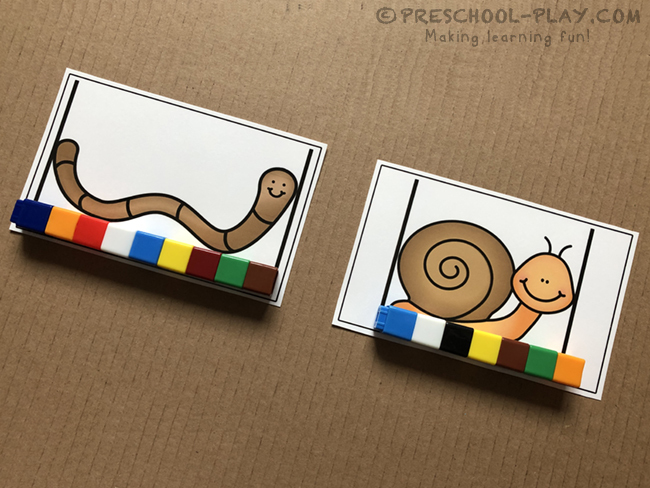 The included worm and snail measuring cards are optional. While the snail and worm are neither bugs nor insects, they ARE “creepy crawlers”, and these cards have proved to be a hit with children. If you decide to use the snail and worm, be sure to explain why they are not bugs or insects. 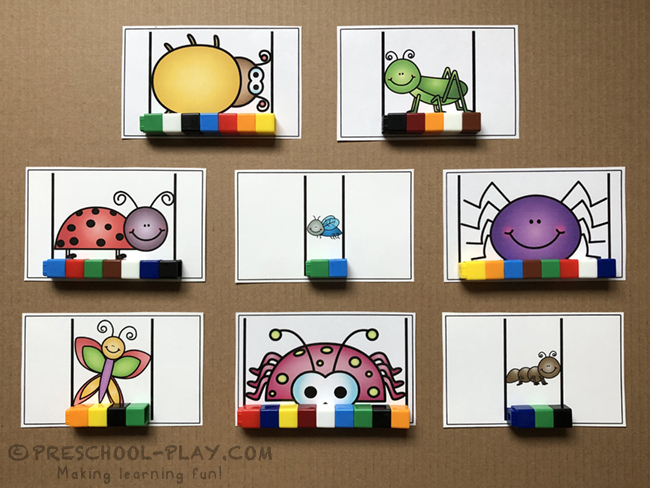 Please know that these two cards are not featured on the Bugs and Insects Measure and Record worksheet. Print these cards out on cardstock (laminate for heavy use). 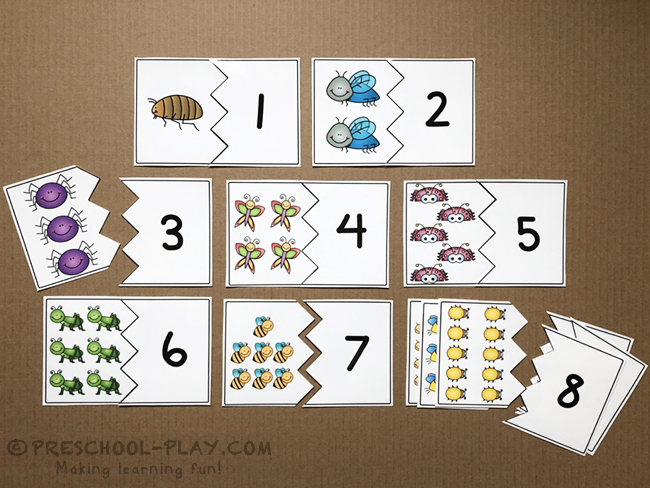 Cut the cards in half and have learners match the quantity of bugs/insects to their corresponding numeral. Children will say the name of each picture and find and cover its rhyming partner. 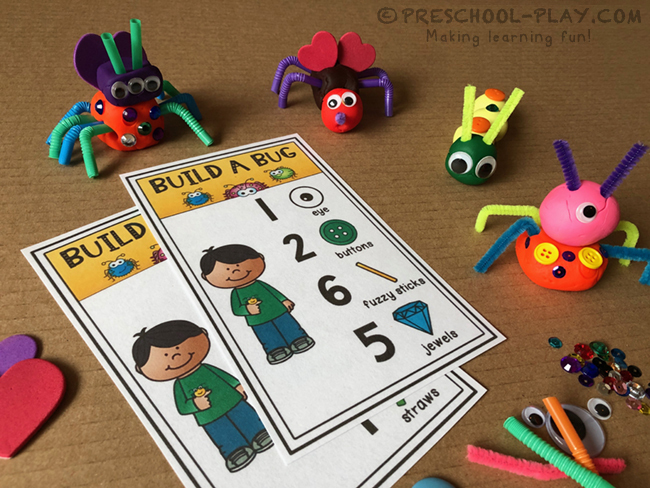 Supply plastic bugs, mini erasers or another small manipulative for children to use as markers. Clothespins may also me used. Print these cards out on cardstock (laminate for heavy use). Print these sheets out on cardstock (laminate for heavy use). 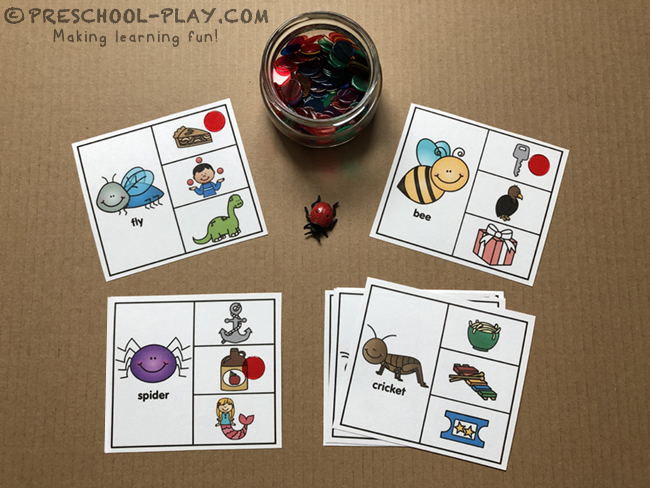 Cut out the jar cards along with the syllable cards. 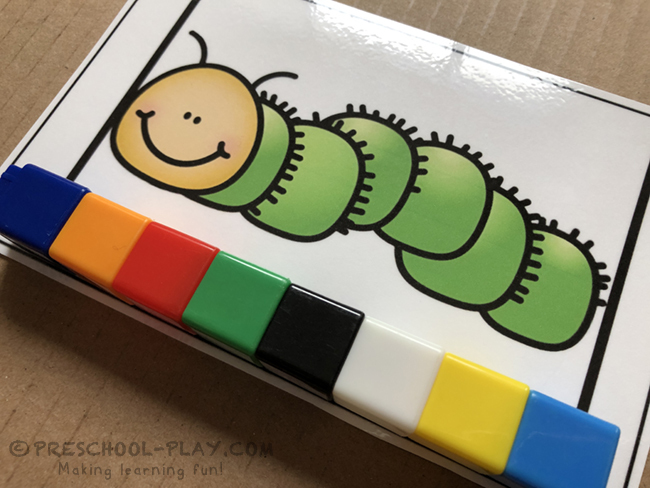 Students will say the picture (bug) name and clap and count each word part. Learners will then place the picture card on the appropriate jar labeled with the amount of syllables. 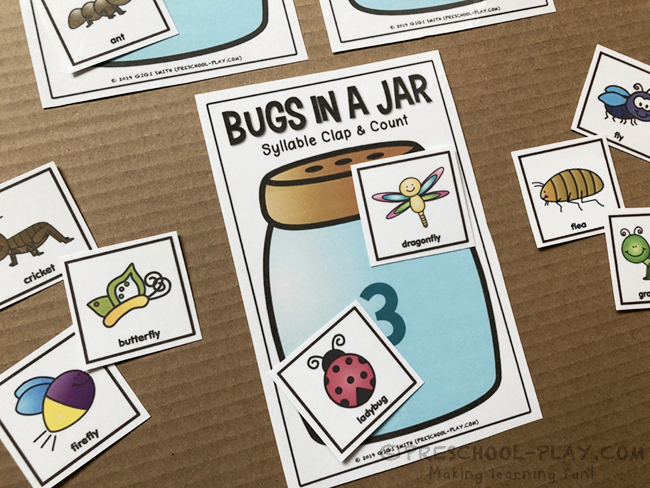 This activity, along with the Critter Clap & Count worksheet (included in this packet), makes for a ton of syllable fun. 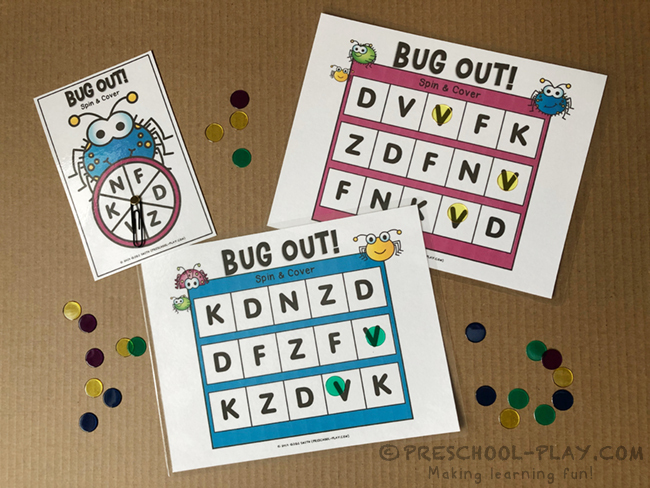 With these fun worksheets learners will identify and match letters, classify, pattern, segment syllables, and so, so much more! 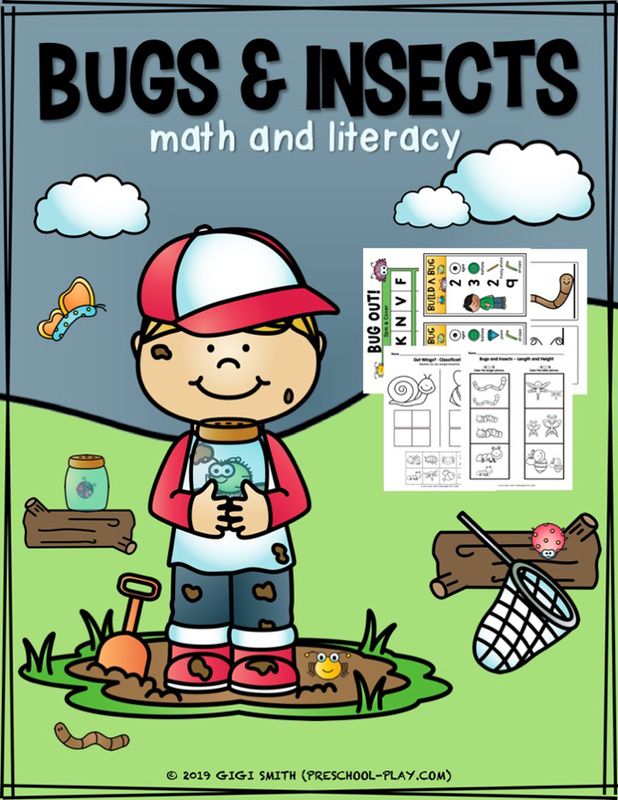 GET THIS BUGS AND INSECTS MATH AND LITERACY PACK HERE. 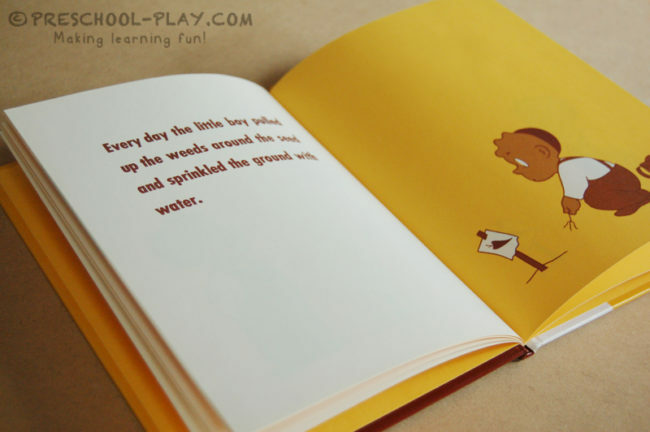 The children’s book The Carrot Seed is a simple classic that teaches perseverance, and the method of planting a seed and helping it grow. This delightful story, which was first published in 1945, has never been out of print. The Ruth Krauss’ straightforward text and Crockett Johnson’s clean illustrations work to create a timeless, victorious, and fulfilling story for readers of any generation. A small boy plants a carrot seed. Unfortunately, everyone in the boy’s family is certain the seed will not grow. “I’m afraid it won’t come up,” they each say. However, the boy remains self-assured in the carrot seed’s potential and his own ability to care for it. Eventually, he is able to harvest a carrot that measures the size of his faith. Now your young learners can have a huge carrot of their own that they can be proud of. Simply provide each child with a carrot (pre-K children should cut out their own), and a sheet of orange construction paper. Have the children tear the paper into small pieces. Then encourage them to glue the scraps onto the carrot until most of the white paper is covered. To complete the project, they will glue green strips of paper for the carrot top.